Passages to the Past: Passages to the Past turns 1 !!!! Holy crap! I can't believe it's been a year already, but at the same time it seems much longer! For me this is quite an accomplishment because I never stick with something this for this long. Just goes to show how much I really enjoy hosting this blog. I started this blog for a few reasons - one, to keep my mind busy after my husband and I suffered a miscarriage and two, to spread the word about the HF genre that I love so much. I was a lurker before then, reading reviews and looking for new books to eat up and thought, well hell, maybe I can do that too. My first review was The Borgia Bride - it was a rather short and sweet review - I can't say if I've gotten better with reviewing, but at least they're longer now! Heehee! And, can you believe it...I actually got comments on my first post....I was so excited and was ready for more. I'd like to give a shout out to those first few commenters: Jennifer @ The Literate Housewife Review, Meghan, Daphne from Tanzanite's Shelf & Stuff, Marg from Historical Tapestry and Hollister5320 from Miss Holly's Library. Thank you, thank you, thank you! I'd also like to thank all of you, my beautiful readers, for all the great comments and converstations we've had over the year - I sure did find the nicest blogging community out there. I've had so much fun getting to know all of you and learning from you. You are all remarkable people and I'm very honored to know you. I'm not a social person, I prefer animals to humans any day, but you all have restored my faith in people! So, I'm raising my Pepsi in the hopes that there will be many more years of reading, reviewing and blogging ahead of me and that all of you are still on board! Cause, if you're not there...what's the point?! There are a few more people I need to mention that have given THE best support to me and my blog....my husband - for never complaining about me typing at night (yeah right) and for tirelessly listening to me drone on and on about my blog and to my daughter - for stealing the laptop when she is Facebooking. You're the best! Thank you, thank you very much (said in my best Elvis, with the lip curl and all)! Congrats on your one year of blogging. Oh congratulations!!! I love reading your blog. It's so great to find a quality blog about historical fiction although my bookshelf TBR pile has grown so much thanks to you :) So here's to you! Congratulations! I think that's me there as one of your first commenters. Glad I can say I've been reading your blog since the beginning! Congrats! You are one of the first blogs I started reading. Happy blog anniversary! I always enjoy your posts! tokemise: thank you my dear! Amanda: I'm so glad you like it cause I sure like yours! Meghan: yes, love that is you!!! You can say you knew me when...if there is ever cause to say that! dolleygurl: that's really cool to know, thanks! Susan: I knew I forgot something when writing this post...I forgot the thank the authors I've befriended along the way. Gosh, never thought I would know any super talented authors, it still makes me giggle when I think about it. So, thank you to all of the authors that have stopped by to comment or were cool to let me ask them a few questions...I'm really lucky to have met you! Happy Blogiversary! I'd have never thought that you'd only been blogging a year, you seem to really have your vision for your blog down. Here's to many more blogiversaries! Comgratulations Amy! I had no idea it's only been one year judging by the awesome quality of your blog and reviewing. Wonderful job! Congrats on reaching the one year mark Amy! Congrats and Happy Blogiversary! I hope your second year is as fun and rewarding as year 1. Congrats!!! And I'm hoping you'll help me spend my money for a lot more years to come. Congratulations -- I really enjoy reading your blog! Your blog is a great source of HF that I may not know about. I really enjoy reading what you have to say. I so enjoy reading your blog! Thanks for all your efforts. Happy birthday to you! This is one of my favorite blogs to visit - I enjoy reading historical fiction,too. One year is awesome. :D Here's to many, many more! Congrats on hitting the one year milestone. Your blog is gorgeous! Here's to many more years of blogging. Ad Dolleygurl also mentioned, yours and Tanzanite's blogs are the first ones I've EVER EVER EVER read! Isn't that awesome? I was just perusing the web for some historical fiction info and VOILA there you were. Loved it then, still love it now.. something to aspire to. Congrats on your blogiversary, how did you make it look so effortless and easy? Congratulations! I can't believe it's been a whole year, either. I cannot condone drinking Pepsi products, but I'll toast you all the same! :) Here's to many, many more. Happy Blogiversary! You have a great blog going here, so much cool stuff! Wishing you many more! Happy First Blogaversary! Many returns of the day! Amy Congrats!!! And- I need to tell you this...You've always been there for me too! Your blog was one of the first I followed when I started out too. I was mesmerized and sooo impressed by it- you helped inspire me so much. And- most importantly, I have to tell you that; yes your blog is gorgeous, yes it's always full of interesting info, yes your reviews are great, yes you're so much fun, yes it's brilliantly written, yes you've akways got new stuff- YES, YES I'm impressed- BUT, guess what got me the most?? YOU!!! YOu are soo wonderul and Nice and always ready to cheer me up and always ready with an uplifting comment and, and, and...It's just you Amy- You're really the best:) Thanks so much for being there- you make my day! Congratulations! I always look forward to your posts, and I hope you have many, many more anniversaries. Happy Birthday. I always love reading your reviews. Congratulations! My own 1 year anniversary is coming up in a few days and I can't believe that it's been that long! Happy Blogiversary Amy! You have a great blog and it's one of my favorite places to visit! I hope there are many more years of blogging ahead of us. Congrats. You know your blog is fantastic... I love to come here.. I love your wit and charm as well..please keep on trucking.. 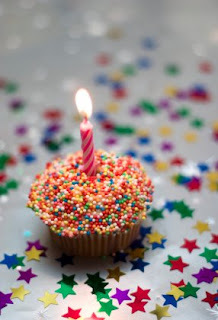 Happy 1st blogiversary, and here's to many more! Congratulations, Amy! You do such a fantistic job on your blog, I look forward to every new post! Hope to say hello in person in DC! Happy Blog Anniversary! Looking forward to your next year! Congratulations and happy anniversary! You have a wonderful blog and a lot of supporters. I hope you enjoy blogging for many more years to come. Happy blog Birthday Amy, you have the most awesome blog. I'm so glad you get as much joy out of hosting Passages to the Past as I do reading your posts! Congratulations on your one year anniversary! Thank you for all the information that you share with us all. Congratulations Amy! It's so hard to believe that you have only been at it for a year. You seem like a pro! Congratulations! You've got an absolutely beautiful blog going here - but is it O.K. if I toast with Coca Cola? I can't believe you have only been doing this a year. My goodness, you are so professional that it seems as though you have years of experience. Congrats -- here is to many more years of great blogging! Happy One Year! I am so happy you found an outlet that you love. The blogging community is truly amazing! Happy blogiversary! I wish you have many more years of bloggy happiness! A very belated Happy Blogiversary to you Amy! It has been a pleasure to watch your blog grow and evolve over the last 12 months!